Discover Spicebomb Night Vision by Viktor&Rolf where fiery black spices and green fusing freshness meet an addictive twist to seduce even in the dark. Grapefruit Essence, Black Spice Complex, Clary Sage, Geranium, Roasted Almond Accord and Tonka Bean Absolute. Spicebomb enters the night territory for the first time. 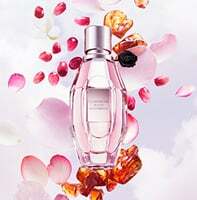 With the same sense of provocation used to defy fashion codes, Viktor&Rolf invite you to play a new game of seduction. Bold. Dark. Sensual. Discover Spicebomb Night Vision, the new Viktor&Rolf male scent: an intense fougere oriental, revealing its true nature in the dark. Modern and untamed, Spicebomb Night Vision is an explosive contrast of green fusing freshness and addictive black spices. Taking the green light of Night Vision technology as its design inspiration, Spicebomb gets its own image enhancement. The iconic grenade bottle is reinterpreted in the emerald-green tint of the Night Vision optical technology that merges into black-coloured glass. A great contrast of black spices and green fusing freshness to seduce even in the dark.Fresh and explosive, sensual and masculine. Let the Spicebomb Night Vision take hold of you. Spicebomb Night Vision is rated 4.3 out of 5 by 187. Rated 5 out of 5 by Michael from Very Nice Fragrance My wife and I really enjoyed this fragrance. It has a nice citrus kick at the beginning and wears well throughout the day. I don't find myself needing to reapply every few hours and I love that you don't have any strong overpowering alcohol smell when applying. This would be a good spring scent in my opinion. I had not seen this brand prior to testing it out but I also usually buy scents from local places and not mainstream stores. I will look into purchasing some more samples of other scents from Viktor and Rolf and give them a try as well. I really enjoy this and will buy it but also want to see what else they offer. Rated 4 out of 5 by Scott from Cologne that is decent smelling, but strong. Overall, it smells fairly good, but it's a little strong. Not much is needed in my opinion. I like it, but I think this is best suited for a younger demographic maybe in their late teens to mid-20s. I would buy this cologne as a gift for my nephew, but I don't think it matches well for me personally. Prior to trying it out I was unaware of this particular product scent. I would recommend it to a younger demographic like mentioned earlier as I think they would like moreso than myself as I'm in my early 40s. I'm not saying it's a bad cologne, but it's a little more strong than I am used to wearing. Rated 4 out of 5 by Jetster from Pleasant Zesty Scent Spicebomb Night Vision has a pleasant zesty and fresh scent. I definitely smell the sweetness of the nutmeg and cloves contrasted with the spicy pepper scent. The one downside is that I would describe this as a rather thin fragrance that seems to lose its zest after about an hour. I think that a brief walk on a cool day might quickly air out any trace of this fragrance. If you prefer a sweeter scent that is light and not overpowering, then you might want to give this a try. I think this fragrance would definitely perform better during the warmer months. Rated 4 out of 5 by Anonymous from Nice smelling product The Spicebomb Night Vision smelled very nice on me! Upon using Spicebomb Night Vision forseveral days, I get instant results - I feel radiant and confident as I walk on the streets and into work. The smell is subtle and not too too strong. I get compliments and questions on what I use to smeel great. The vial is easy to use and the perfume lasts for a decent amoount of time before you have to spray yourself again. I like the design and color of the vial and it suits me well. Overall, I would buy Spicebomb Night Vision again. I would recommend using Spicebomb Night Vision for parties, work and socials for both men and women. I was not aware of Spicebomb Night Vision prior to using it, but now I will highly consider it in my future pruchases! Rated 5 out of 5 by Anonymous from Long lasting fresh masculine scent Spicebomb Night Vision is one of longest lasting scents I've tried it lasted all day with out using more and it smells so good. My boyfriend loved the way it smelt on me too!! I will be going out and buying more of this product soon. I'm so glad I got this sample because I hadn't heard of this scent before. And I'm always looking for new fragrances to add to my collection. And as a smoker it covered the smell of my cigarette smoke. I have been telling all my friends about this sample. It's so good you need to try it for yourself! Rated 2 out of 5 by Kimosabe from I wouldn't buy this stuff I got a sample. So it's super tiny. The spray was broken so I had to bust it open, when I finally did that I put some on. Wrists, neck, chest area. This was just after 1pm. It smelled actually better than I expected. I couldn't give specifics but I've bought brands close to it. It's now 2:45 and I can't smell anything. It didn't last 2 hrs. If it lasted longer I would definitely buy it. I only gave 2 stars because it smelled good. It had me at hello, but I didn't get to say goodbye. Haha sorry but back to the drawing boards! Rated 1 out of 5 by Anonymous from Meh, I've had better colognes I received a sample of Spicebomb Night Vision to try out & to give my honest & unbiased opinion. First I would say that I have in the past had much better smelling colognes than this crud. It smelled like a lot of the colognes that are currently out there right now. There's nothing that stands out about it or sets it apart from others out there. It's very musky, I prefer lighter, more crisp, citrus like & fresh scents in colognes. I DEFINITELY would not buy this cologne nor would I recommend this scent to anyone else. Rated 2 out of 5 by Mohdalzafiri from Maybe I would buy this product The dark green color perfume feels like mystery and elegance. The smell is not masculine but suitable for both sexes male and female. The mild and cool smell is suitable to mask sweat odor. The duration of the smell on the clothes is amazing, where I stayed with me throughout the day and night smell of grace during the period of work and rest. The strange thing is that smell stirred the anger of others where the people I dealt with at the time feel excited and angry, although it felt me ​​personally calm and quiet.